Let's "coach" our custom bags by adding leather or faux handles and other hardware. Additional templates will be available for accessorizing. 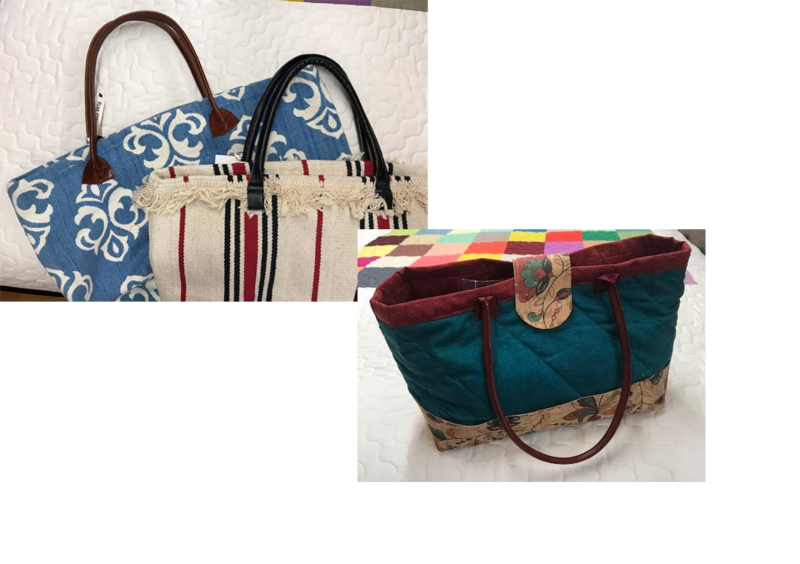 There will be information/instruction on "rug" bags as pictured as well as hardware and a variety of materials for the handles. Join us and learn some new techniques. Rotary cutter, machine zipper foot, scissors, thread to match handles.